The Classic Tetris World Championship is back, and bigger than ever! For those unfamiliar with the CTWC, it’s a competition that takes place every year at the Portland Retro Gaming Expo in Portland, Oregon. There, pro players and enthusiasts converge from every corner of the globe to put their Tetris skills to the test. This year, the competition begins October 19th and concludes on October 21st. Those interested in participating must pay a $20 entrance fee and arrive for the Qualifying Round on Saturday, October 20th. The Qualifying Round for both Tetris NES and Tetris: The Grand Master begins at 10 a.m. PST sharp. Serious about competing? You can view the full list of rules and competition info over on the official CTWC website. Last year, Koryan swooped in and took 1st Place at Tetris: The Grand Master, while reigning champ Jonas Neubauer once again walked away with the 1st Place trophy for Tetris NES. Can Jonas hold on to his champion status this year, or will former champ Harry Hong swoop in for an upset? We can’t wait to watch and find out! In addition, you can subscribe to the official CTWC YouTube channel and watch highlights from previous competitions, including last year’s full CTWC Finals. This year the CTWC welcomes several new sponsors, including Enhance, AtGames, and Retro-Bit. Enhance will be showcasing the highly anticipated Tetris Effect, which will be launching on PS4 and PSVR on November 9th. In addition, attendees will have a chance to win cool Tetris prizes such as AtGames’ Legends Flashback console, Retro-Bit’s Go Retro Portable handheld, and Basic Fun’s Tetris mini arcade. The CTWC is always seeking out new sponsors, so if you’re interested in sponsoring next year’s CTWC, be sure to check out the sponsorship packet courtesy of the CTWC website! 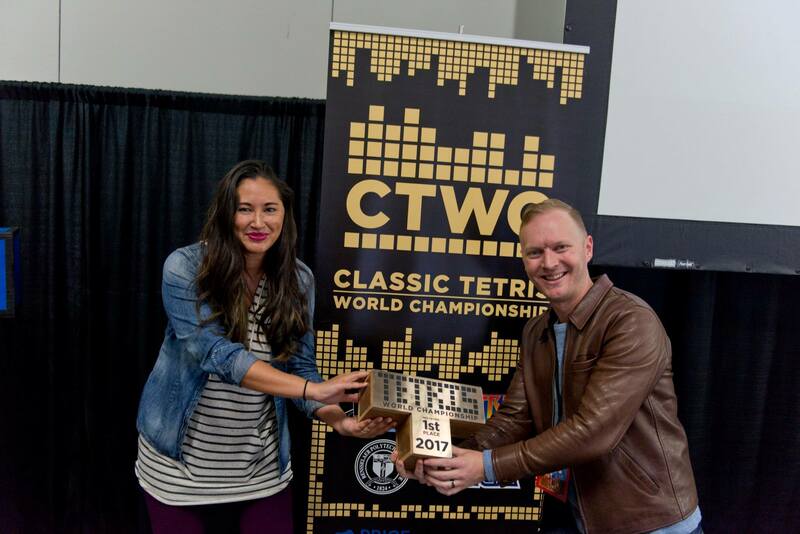 With so much pure, exciting, and engaging Tetris action, you definitely won’t want to miss this year’s CTWC! To learn more about what goes on behind-the-scenes of the Classic Tetris World Championship, be sure to check out the documentary Ecstasy of Order: The Tetris Masters. For more on the Tetris NES scene, read through some of our previous interviews including one with Ecstasy of Order director Adam Cornelius, CTWC head Vince Clemente, and past CTWC competitors Jonas Neubauer, Jeffrey Moore, and Alex Kerr! To play a round or two of Tetris right now, click here to play Tetris right here on our website!